For some novelists, writing is a tortuous process, with each paragraph and page struggling to come to life. Not so for Colin Bateman. The ex-journalist has successfully applied his newspaper skills to the world of fiction writing and, as a result, enjoys an enviable chapter-a-day productivity rate. ‘‘As a journalist, you write two or three stories a day and nobody comes up to you and says: ‘Oh, you must be exhausted, you’re such a warrior.’ It’s just expected. You go in and do your job; the discipline of churning out thousands of words a day is a useful one. There’s a huge difference between the two fields, but I can touch type and I’m comfortable expressing myself in print,” he says. 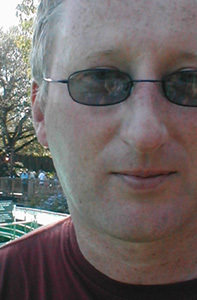 Bateman joined the County Down Spectator as a cub reporter at the age of 17 and, as is the norm with regional papers, quickly found himself filling a wide range of journalistic roles. He particularly enjoyed writing a satirical column on life in the area. ‘‘There was lots of space to fill and I was pretty much allowed to write whatever I wanted, so I took the piss out of stuff a lot. Lots of bits of columns got recycled into later books, and the reactions I got locally for my writing gave me the confidence to sit down and do what I always wanted to do – write books. It was great training.” Today, Bateman has reinvented himself as a one-man media production unit – he writes bestselling novels, children’s books and movie adaptations (including the critically acclaimed 1998 comedy Divorcing Jack), and hopes to direct his first feature film in the next year. 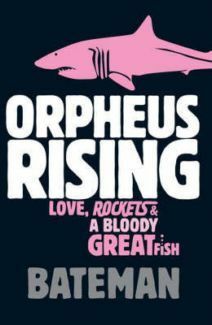 He has returned to fiction with his latest novel Orpheus Rising, an unusual but deeply enjoyable road trip novel with a twist. Michael Ryan is an Irish journalist-turned-author who returns to the small Florida town of Brevard on the Space Coast, where his wife was murdered ten years ago during a botched armed robbery. Accompanied by his Pulitzer prize-winning, but deeply irritating, journalist sidekick, Ambrose Jeffers, Ryan is drawn back to the area, needing closure and sensing that there’s unfinished business for him in Brevard. So far, so good – the reader is entertained comfortably within the boundaries of the crime thriller genre. Until around 200 pages into the book that is, when Ryan hits his head and things appear to take on a supernatural twist. ‘‘But, generally, I don’t like supernatural things in books – I think Stephen King is a superb writer, but I don’t really like that kind of writing. So, the challenge for me was to write it in away that was believable tome, so that I liked it,” he said. In 1995, Bateman’s first novel, Divorcing Jack, was rejected by all the usual publishers and agents, before being pulled from the HarperCollins slush pile to become a huge hit. More books followed, along with successful screenplays and a film adaptation of Divorcing Jack. ‘‘Of course, now, I’m doing exactly the same thing, with punk references all the way through. It’s a generational thing, but the music of those years was extremely important tome, and it came full circle with the Clash story.” Bateman is referring to the time when Divorcing Jack was being made into a film, and the producers asked Joe Strummer to write the title track for it. ‘‘To me, that was like Elvis or Frank Sinatra writing a personal song for me. I was thrilled. He wrote and recorded a rough demo mix of the song and submitted it to the producers, who rejected it and instead, re formed the Nolan Sisters and got them to do a song for the film. Since Divorcing Jack, Bateman has written a startling 21 books in 13 years, with significant chunks of time spent working full time on screenplays, including the successful BBC series Murphy’s Law. ‘‘I did the pilot for that and the first two series of it, and then the producers and I had artistic differences and, essentially, I got fired from my own series,” he says. ‘‘Basically, it was a crime series that was reasonably dark, but one that had a humorous element. They wanted to take out the humour and make it darker with more violence, to change it significantly from one series to the next. When it comes to researching his novels, Bateman does not conform to the cliche of the method-writer. He doesn’t exhaustively collect background information and freely confesses to basing an entire 500-page novel set in the Empire State Building on the leaflet given out to tourists taking the tour. ‘‘At the end of the day, it’s fiction; as long as it reads well and you can lose yourself in the world, then that’s good enough for me. I don’t do a lot of research in general, and I’m not from the John Connolly school of research – I don’t need to live it. That’s not to say you can do all your research online – I do need to be there in order to pickup on the little things that happen that add authenticity to a book. ‘‘I don’t write outlines for any of my books, but I think if you watch enough movies, you pickup intuitively how stories should work. I don’t worry about character arcs or intersecting plots,” he adds. Even though the book has only just been published, Bateman has already finished his next novel, due out next year. Entitled Mystery Man, it’s about a crime-solving bookseller and sees the writer return to his familiar Northern Ireland stomping ground. He also has a new children’s novel out in June, and is working on a TV documentary on the changing face of Belfast, as well as editing an anthology of Northern Irish crime fiction, entitled Belfast Nights. Bateman hopes to try his hand at directing a feature film in the next year. ‘‘I directed a short before for the BBC and the bug bit me,” he says. ‘‘Last year, I also got to go to Moonstone, the film maker’s lab in Germany, to shoot some scenes from a book of mine [Mohammed Maguire], and that was fantastic. I came back expecting someone to meet me with a cheque for millions at the airport saying ‘make your movie’, but sadly it doesn’t work like that. ‘‘Your ambitions change over time. At one point, I just wanted to be able to write the words ‘the end’ and finish my first book- but then you want the book to be well received, and then you want it to sell well, and then you want a screenplay made of it. It’s the oldest cliche in the book; the screenwriter who says, ‘What I really want to do is direct’.